Coyote Music: Linzi, first I want to say that it's a pleasure interviewing you. Your name preceded you to Coyote Music, so we're excited that you're taking this time to spend with us. I'd like to start by asking about FUSE, for those who may not be familiar with you. Talk about how FUSE came to be. Linzi Stoppard: I was looking for an executive producer for my live performances when I was a solo violinist. Through my management we eventually found Ben Lee, a violinist from the Royal College who was making a bit of name for himself performing with indie bands. He shared an interest in pushing the boundaries and exploring how the violin sound can be manipulated. So we started working together on my solo shows, this relationship continued for a few months. At the time most violin acts were all-girl quartets so there was a gap in the market for a girl-boy duo. It was a unique combination. Add to that Ben's and my vision to push the boundaries sonically, and you have the ingredients for a new act. In early 2008 Ben and I officially joined forces and FUSE was born. CM: I was once an advisor at a classical music school, where I knew many very talented performers who never got the chance to perform in front of crowds larger than at their recitals. Talk a bit about having the opportunity you have—playing in front of large audiences regularly. LS: Playing to an audience is a good test of where you are on your musical journey. I see my career as a journey—I am not sure where it will end up, and the end is not in sight. But like I say, a live performance is a big part of it. It keeps you honest, as there is no getting away with [any shortcomings]. And with that the more you do it, the better you get. Some nights you make big strides, some nights it just doesn't click and you feel it was a step backwards. But in my mind, everything is a step forward. If you learn from a mistake, or things not going as planned, then there are positives to gain. And this is certainly true of performing to live audiences. You also get instant feedback. It's great to release your music and for fans to buy it, but seeing and hearing a live audience react [to your music] can be so energizing! And not forgetting we have been very lucky to see most parts of the world—we travel to some amazing places and meet amazing people. CM: What performances have meant the most to you, or made you stop and take a deep breath before you stepped onstage? LS: The one that comes straight to mind was our first performance at the Royal Albert Hall. It is one of the world most iconic live music venues. When standing in the wings waiting to take the stage, you can hear the buzz in the audience, see all the way up into the gods and of course there is a mystique about playing there—so many stars have taken to that stage. Another one would be performing at Glastonbury, again another iconic music event. 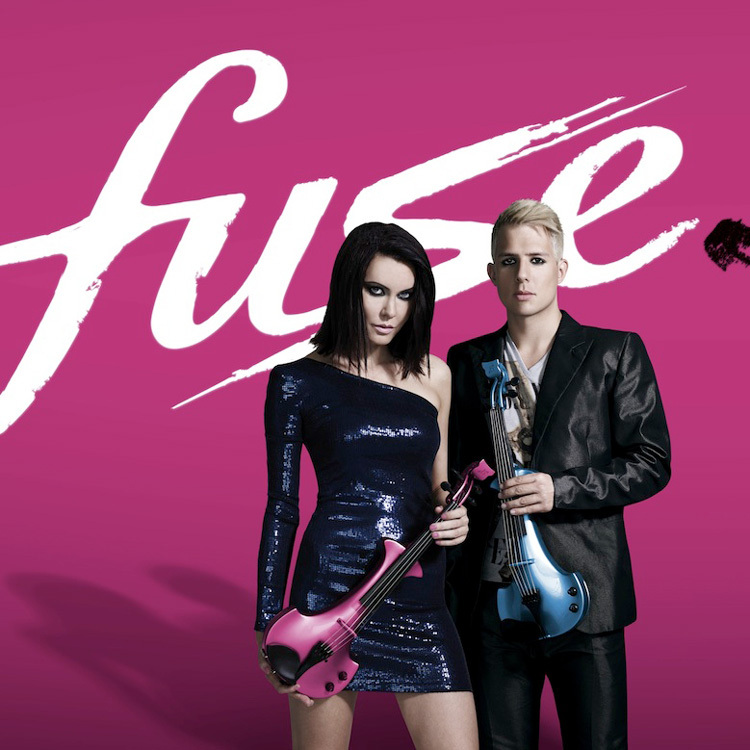 And for a violin act it is almost unheard of [playing at Glastonbury], so that was a real endorsement of what FUSE are doing, our unique sound and high impact performances. Some of the other memorable moments would be support slots: Bryan Adams, Katy Perry, and Noel Gallagher were all great moments. CM: You've obviously taken the violin in a unique direction. Yes, there have been people playing pop music on classical instruments before, but tell us what you've done that's been different from those before you. CM: And for you, was your path through a music conservatory? Share with our audience (typically more of a contemporary music crowd) how you came to play the violin and what led to your professional career. LS: I first started playing the violin at the age of four, learning through the Suzuki method. I don't really remember exactly why it was the violin—it may even have been pressure from my parents. Either way, [violin] was the instrument that I took most naturally to even though I also learned the piano and clarinet, but not the same level. I was a teenager when I first picked up the electric violin. I was going to go down the music college route but I was spotted by a record producer and given the opportunity to play the violin in a rock band. It validated the decision to take up the electric violin over the acoustic. That was the beginning of the rest of my life. CM: What projects do you have coming up? A new solo album? A FUSE record or tour? 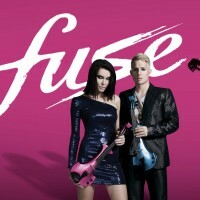 LS: FUSE are always touring and performing live. We are really looking forward to performing with Royal Philharmonic Orchestra this summer. When we were invited they said no other violin act had done so. When we are not touring we are in the studio writing and recording. And this will be followed by new videos and promos for the new material. We are also really excited about a film soundtrack in the offering for later on in the year. CM: What has been your favorite venue? And what was it that made it so—the artist side of things (backstage, catering), the audience, or building itself? LS: As mentioned earlier, it has to the Royal Albert Hall. When we started out, it was normally an orchestra and classical music that was heard from a violin in the great hall. The thought that electric violins playing rock would have the stage at this iconic venue didn't seem possible when we started out. But it was. There is a definite air of expectation backstage, partly due to all the photos of legendary artists filling the corridors who have performed on this stage. All the greats, over many decades. If you haven't seen the building you should look it up online. It is a stunning piece of architecture which all adds to the kudos. It is imposing but at the same time invigorating. The audiences are also special, I think it is something to do with the esteem of the venue. They are all music lovers and appreciate what they have come to see. I suppose you could say the are a discerning crowd. CM: A very special album in my life is Eric Clapton's 24 Nights, recorded during a 24-night (and then an additional 18-night) engagement at Royal Albert Hall. It is his best album, in my opinion, and led me to visit Royal Albert Hall on a trip I took to London in the 90's. Yes, it's certainly a very special building. How about something exclusive here... Can you share a touring story with us that you haven't previously shared with anyone else? LS: Gosh, hmm, it would have to be one time at the Glastonbury Festival. A band being late is not news, but how we managed to get to the stage just in time was a bit unusual. Yes we were late. Traffic! It was definitely one of those moments when you are sure you're not going to make it. Arriving at the festival was just the beginning. The site is so big, it then takes ages to get to the actual stage. Fortunately all the equipment had gone ahead so was ready set up and waiting. The problem was us, the violinists! We were not going to make it. We were desperate to find AAA transport to get us across the festival site. We had 10 minutes until showtime, and it was a 30 minute walk. Our management had resorted to the fact that we might not make it in time. There were no cars, vans, nothing in sight. We were on the wrong side of the site. So there were Ben and I, resigned to the fact that we had missed our slot. Then one of the team ran over saying they had found transport that could drive through all checkpoints and get us to the backstage! It was touch-and-go, but our only option. 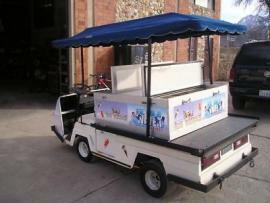 What came next was literally like a scene from a comedy - from behind some parked trailers came an ice-cream van! "You're kidding!" Ben shouted. They weren't. This was it, make it or break it. It wasn't one of those large ones you see driving around houses back in the 80's. This was like a city electric car for two people. We had no choice. Ben and I cramped into the front seat, you wouldn't believe it, it wasn't so much Ben & Jerry's, more like Ben and Linzi's—an express bug right across the festival site. Ice creams had to be delivered all over the place so he had all the passes to get everywhere. We made it by the proverbial last minute. CM: If ever there was a true "ROFLMAO" moment, this is it. Fantastic! Thanks for sharing such a behind-the-scenes moment from Glastonbury. Moving on from ice cream carts, I think everyone has dreams they hope to accomplish, no matter how big their success. Even Bono, with his immense fame and fortune, works toward ending hunger and achieving world peace. What goals are still out there for you? "if you think you're doing well, you're comparing yourself to the wrong people". A simple but important goal we have is to introduce young people to the violin. There is massive preconception about the violin, in that it is purely a classical instrument. For sure there is a fraternity that would like it to remain that way, but we believe there is so much more to it. If you want to get the next generation involved and excited about the violin I'm afraid you'll have to do more than play them classical music. If their friends are listening to the latest pop or rock band, playing Xbox or Playstation, you have to give them something they can be equally excited about. And pop/rock on the violin could just be the answer. It is fresh, edgy and if you don't mind me saying, cool, too. Yes, Bono does some amazing work and uses his reach in some very worth while ways. Clearly I don't have that reach but I, and FUSE, do want to help charities when we can. We are Ambassadors for The Prince's Trust here in UK. It is a wonderful charity and doing some fantastic work. Preventing Cancer is another one close to my heart. I have cancer in my family so feel a particular empathy. CM: Talk about your violins. You have the now-famous £1,000,000 Swarovski Crystal violin. Is it your favorite to play on, or is it better suited for large venues with big light shows? Do you have a personal favorite instrument? LS: Yes they are incredible. The only 2 in the world. We are privileged to have them. We started a bit of a trend, but that is what we have become known for. If you have a great idea then for sure it will be copied. If it is not copied, then it was likely not a great idea. It comes with the territory. Technically they aren't that different to perform with. All our electric violins are made by bespoke violin maker Bridge Violins - so the same is identical to our other violins. The Swarovskis do weigh more but again you get use to it. Everyone tells us they look stunning live under the lights, they come alive, but as we are playing them you don't really know that, until you see the photos. The best way I can explain it is like when you see some footage of a live gig, looking out from the stage towards the audience. It is surprising, you actually can't see that much detail, the lights blind you and beyond that not much detail. CM: There are some vocals in songs like FUSE's Glorious. Is that you? LS: Having vocals on the album, a violin album, was a big decision. It wasn't so much because there were space which the violins couldn't fill, more because we were recording rock anthem and anyone who was anyone would sing along when they heard it. Particularly the big famous choruses. So we thought why not accompany them, or give them something to sing along with, they clearly like it. The end result worked out well, it adds something. As you can hear they are not lead vocals, more backing to add something to the 'soup'. And as they are not lead vocals, yes we were part of the ensemble who recorded the vocals. Not on every track, I don't think we are on "Final Countdown" or "Fix You." But on "I Love Rock N Roll," "Glorious" and "Crazy Nights" we got in on the action! CM: Very cool! Linzi, again, we want to thank you for taking time to visit with Coyote Music. What you and Ben have already done for the violin is pretty epic—certainly groundbreaking and very exciting. We wish you the very best as you continue to tour and record for future FUSE projects. To find out more about Linzi and FUSE, please visit the link to her Coyote Music Artist Page, below. Their music is widely available and, chances are, they'll soon be performing in a city near you!